A court ruling asserting that married women qualify to inherit properties of their fathers and should not be excluded during distribution has stirred debate between defenders of women’s and men’s rights. The ruling was made by the Environment and Land Court in Nyeri, and stopped a woman from disinheriting her step-daughters. Justice Lucy Waithaka held that married daughters are also entitled to inherit their father’s estate, contrary to customary law and many traditions in the country. While delivering a ruling on the distribution of the estate of Mr Ibrahim Wathuta Mbaci, who was polygamous, the judge said her verdict was based on the Law of Succession, which “disregards customary law and allows all the deceased’s children, inclusive of married daughters, whether or not maintained by the deceased prior to his death, to benefit from his estate”. Reacting to the ruling, Ms Emma Njora, a Maendeleo ya Wanawake organisation leader in Nyeri, said it promoted women’s rights to inheritance and property ownership. She said the decision is also beneficial to men, arguing that when women inherit property from their fathers, they become economically independent of their husbands. “Sometimes divorce is encouraged by poverty,” Ms Njora said. But Maendeleo ya Wanaume national chairman Nderitu Njoka condemned the decision, saying the courts are biased in favour of women. “For a long time women have been viewed as a marginalised group, but that is no longer the case. Men have become the marginalised and are now being oppressed by institutions through the law,” Mr Njoka said. He said the courts should allow communities to uphold their customary ways of life and traditions. “African communities have their own rules and regulations on inheritance, and they should be allowed to uphold them,” he said. However, the Federation of Women Lawyers in Kenya (Fida) said “the court was just upholding the law”. “Since 2010, the Bill of Rights in the Constitution trumps customary laws and children have been able to inherit their fathers’ properties,” Fida chairperson Josephine Mong’are said. “Even children born out of wedlock have a right to inherit their parents’ property,” she added. Before the 2010 Constitution, she said, the courts would consider the traditions of the litigants and often sided with customary law. But, under the new laws, a child is a child, whether married or not, and is entitled to the parents’ property. In the case at hand, the judge noted that Mr Mbaci’s second wife, Ms Mary Wangui Wathuta, had unfairly failed to include the married daughters of the first wife in the sharing of their father’s estate. Ms Wathuta’s own sons also opposed their stepsisters’ exclusion. They said that when their father died in 1994, aged 84, he left the family in harmony, and that each wife had been given her portion of land. They told the court that their father had never prevented their stepsisters from tilling his land, and proposed that the land be distributed equally between the families of the two wives. Mr Mbaci, whose first wife Ruth, died in 1987, was survived by Ms Wathuta and 12 children, seven of them sons. In her proposed mode of distributing the estate, Ms Wathuta said her four stepdaughters were married and were therefore not entitled to benefit. She said her husband’s wishes were that she becomes the administrator of the estate, and that only the sons should be allowed to inherit the properties. But her husband, she said, had not put the will in writing. Justice Waithaka, while noting that the dispute in the family was on whether the married daughters are entitled to a share of their father’s estate, said the applicable provision was Section 29 of the Law of Succession. 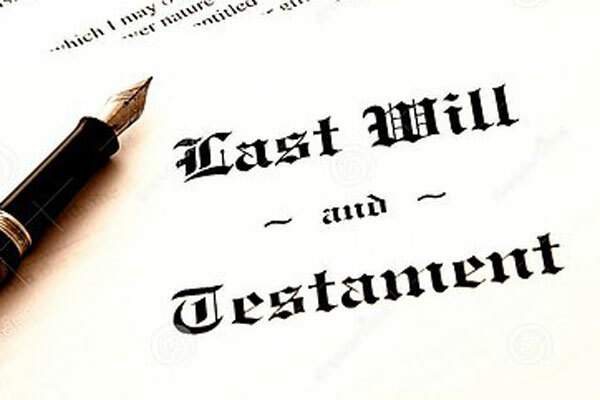 The section defines a dependant of an estate as the “wife or wives, or former wife or wives, and the children of the deceased, whether or not maintained by the deceased immediately prior to his death”.